How would you like to take pictures on your Apple iPhone knowing that you automatically will get the best shot from among the pictures you've taken? A new patent application by Apple is for something exactly like that. As long as the shutter is depressed or the screen is touched, images are stored in a buffer. Once the shutter is released, the camera scores all of the pictures based on pre-determined variables like contrast, image resolution, dynamic range and color rendering properties. The highest scoring picture is the one you receive. That picture, in full resolution, is then available to be viewed on the screen upon request. The picture could be one image taken, or a combination of images from different pictures that results in the highest score. Every so often, the buffer is purged to make sure it has enough memory available for the next picture. The application was first filed in October 2012 as part of another co-pending filing from 2009, and lists Ralph Brunner, Nikhil Bhogal and James David Batson as the inventors. It is unknown whether the system is used now in iOS devices like the Apple iPhone and Apple iPad although it would seem that certain aspects of it are currently in place. First of all, i no longer like iPhone so Alan, the answer to your question is "no, i would not like it" Second, i won't trust a device to pick the best photo out of the lot, although the algorithm may read right, it's not all that. I see it when the photo is good. Thirdly, (let's come back to your topic Wendy) the game Apple is playing with patents is not the way technology should work. Apple patents everything they think is original. Sadly, the word "original" is no longer how Apple works. It's the green paper they want to squeeze out of every point they can make. Yes in galaxy note II, we have a feature called best photos where the phone will take a burst 8 images then the phone will suggest the best picture out of the 8 so you can either go with phone suggestions or pick the one you like the most to be saved while the other 7 pictures will be automatically deleted from your phone. OK I can see samsung removing this feature once apple is granted the patent and then sue samsung in the near future. i don't think apple would be able to do that, samsung has used the feature since Q2 '12 and apple started to file the patent since Q3 '12. But the news said the co-pending filing started in 2009 which mean samsung is in troubled again along with all other phone manufacturers that uses this feature without paying apple. The application was first filed in October 2012 as part of another co-pending filing from 2009, and lists Ralph Brunner, Nikhil Bhogal and James David Batson as the inventors. But the way the US patent office works is, it's given to the first person to apply for the patent, NOT the person who actually creates it first. So if Samsung did not patent their technology then Apple may have a chance to patent it, and sue Samsung again because Apple will claim it as theirs. Yes, it is available in numerous other applications. joseph gives an example. Dedicated cameras have similar 'best-photo' pre-programmed scene modes that function almost exactly as described in the iApplication. Hopefully, the USPTO rejects the iApplication as invalid on prior art grounds. It appears that the 2009 application hasn't issued, so USPTO may be having heartburn with Apple. Sometimes, you get an examiner who has an interest (photography) in the subject matter. That would seem to be an iNightmare scenario for Apple - an examiner with good technical subject matter expertise. USPTO == US Patent Troll's Office. it's different, now your iPhone will tell you: "you're shooting them wrong!" aren't various phones already out with an equivalent feature? Galaxy S III certainly has various implementations of it. true. Many phones already have this feature. Their theory behind selecting the best image maybe different than that of Apple's but the idea of selecting the best picture is already present amongst several phones. How on earth they get patent everytime they file for one ? when there is similar technology which is already implemented, whereas they haven't even introduced or implemented the technology ! Pathetic...Samsung Galaxy S3 already has this feature implemented. You're not familiar with apple and how they "innovate" (STEAL) are you? 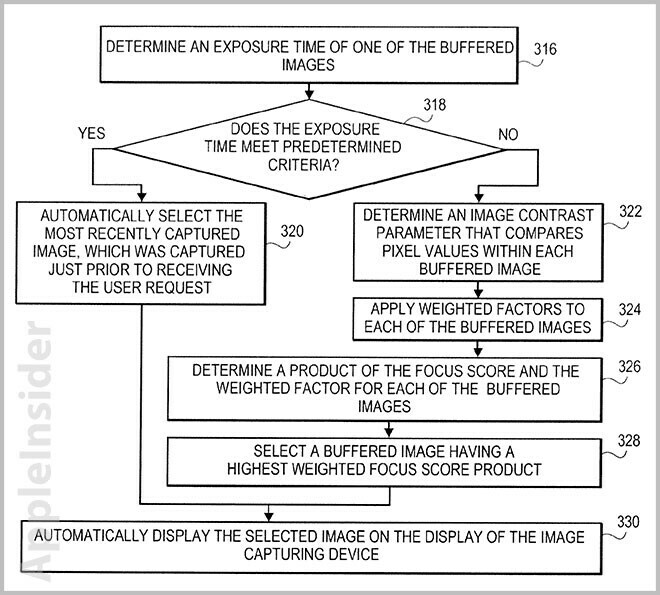 Just because a feature is implemented in a different way in iOS does not make it patentable. My Canon PowerShot G9 (circa 2005?) does burst mode where multiple pics are taken with aperture and shutter speed selected by the camera. Adding dynamic range into the mix is not in-and-of-itself unique and innovative. 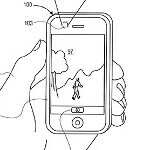 There is too much prior art around that can invalidate any patent that iApple might be able to game out of the USPTO. Samsung Galaxy S3 has a software and programmed to select the best picture but Apple is a camera that select the best picture is very crazy ideas. I hope USPO will not award Apple for crazy ideas. I think you meant to say iFlop. Thought we agreed not too post any dumb ipatents articles. Y the hell are u trying too control uspto apple? Look like Apple is planning another year of patent warfares instead of innovating their product. So sad!